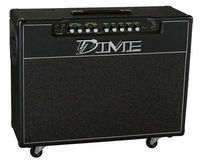 The DIME Amplification Line is designed with Dime's signature product philosophy in mind. To create affordable, great sounding gear that will give every aspiring guitar player the chance to take their musicianship and rock & roll dreams to the next level. 21"H x 28"W x 10"D 64Ibs.